Premiere Bail Bonds Riverside – Professional Agent Available Now. A friendly and courteous bail agent will take your call and assist you with all of your bail bond related inquiries. We are a Riverside based bail bond agency that writes: Bail Bonds, Federal Bonds, Appeal Bonds, Surety Bonds, 1275 Hearings, and many other types of bonds and services. We provide service at the Riverside County Jail, Banning Facility, Southwest Detention Center, Blythe, Corona, Indio, Murrieta, Palm Springs, Robert Presley, and Temecula Jails and Police Departments and Riverside County Courts. At Premiere Bail Bonds we work closely with many attorneys in Riverside. Attorneys demand that their clients are treated professionally and respectfully, that is why they refer their clients to Premiere Bail Bonds over other bail bond agencies. For an honest and trustworthy bail bond company call 1-800-662-0056. At Premiere we offer “bail by phone and fax” way of writing bail bonds. This means you may never need to leave your home or office to post bail for someone. Often times you can download the forms you need fill them out sign them and fax them to us at your convenience. This will help expedite the process. When it comes to posting bail bonds in Riverside we know that time is of the essence. That is why we often assign 2 bail agents to each case. One agent can be meeting with the client while another is posting the bail bond at the jail or courthouse. We serve all of the cities below. The links provided below will give you specific information on those areas. 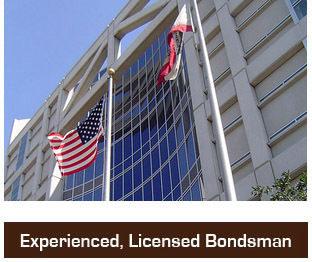 Our parent company has over 200 bail bond agents throughout California to serve you. 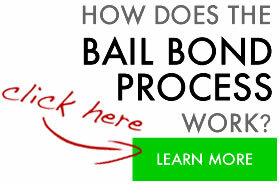 For bail bonds in Riverside or anywhere in California call toll free 1-800-662-0056.